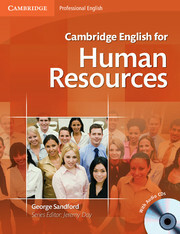 Cambridge English for Human Resources is the definitive course for learners who need to use English in a human resources environment. Cambridge English for Human Resources covers a wide range of topics of concern to Human Resources and Personnel Development, from the essentials of resourcing and outsourcing through to strategic HR. The ten standalone units allow learners to focus on the areas most important to them. As well as teaching the specialist vocabulary and theory of HR, the course develops job-specific skills such as coaching, appraisal systems and managing conflict. The complete listening material is included in the Audio CD. The course requires no specialist Human Resources knowledge on the part of the teacher as free teacher's notes are available online. 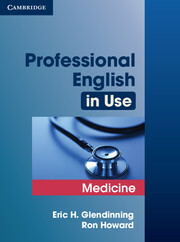 Professional English in Use Medicine is a brand new addition to the Professional English in Use series.